What American Ninja Warrior Can Teach Everyone About Personal Branding. 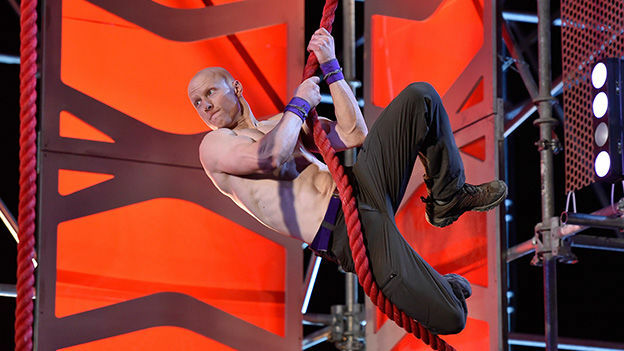 The contestants on American Ninja Warrior come from all walks of life, but what the most successful have in common is more than just dogged preparation and a desire to challenge their very limits; they are also masters of their personal brand. Based on the popular Japanese show Sasuke (now going into its 34th season), the American version is in its ninth season domestically, with no signs of slowing down. It has consistently been a top-ten show of the summer, reaching a peak on September 11 during the finals as the top-rated and most-watched show. The show even has such a large athlete and entertainer following that ANW introduced Celebrity Ninja, featuring contestants such as Shawne Merriman, Helio Castroneves, Nick Swisher, and Ashton Eaton. But how did an obstacle-challenge reality show capture and hold onto America’s attention? Show producer Arthur Smith believes that it’s the contestants themselves who make ANW so watchable. Before the contestants ever step on the course, the viewer gets to know them through short narratives pieces that dive into their backgrounds, passions and why they wanted to become a Ninja, similar to what NBC Sports does with their personal profiles feature each Olympic Games. Why is this important? Because these narratives help connect viewers more emotionally to the contestants, and convert them more quickly into engaged fans, benefitting both the show and the contestants themselves. The most successful Ninjas are the ones who not only dominate the course, but also dominate in their brand building. Those with the most compelling story-arcs, and cultivation of their social followings have been able to leverage their ANW appearances into endorsement deals, magazine covers, and business opportunities that extend beyond the show. When it comes to laying the foundation for your brand, it all starts with what you want to be known for, and then wrapping a story around those values. Concrete visuals enable people to connect and identify. Ninjas stories have become so essential to the success of the show that strength-of-story has become the most important criterion in contestant selection. With more than 70,000 people applying for a slot this season, you need to stand out in order to get in. As ANW casting director Angelou Deign said in an interview last year, most applicants are fit enough to handle the course, so there has to be something that differentiates them from the rest of the pack. In their video submissions, Ninja candidates not only showcase their personalities and their Ninja alter ego, but also their other passions or interests. For example, Grant McCartney, a former flight attendant from Hawaii, branded himself as the Island Ninja, complete with personal logo. Grant became renown for his dance moves after completing course segments, and a tweet of those dance moves resulted in an invitation to appear on Ellen. Now a veteran of the show, he’s been able to focus on training and stunt work full-time, as well as hosting Ninja camps for fans across the country and selling Island Ninja tees. Similar to other influencers, Ninjas have shown that those who build the strongest brand identities and personal narratives are consistently the ones who build fan bases the fastest. Once they make the show, Ninjas now have a platform from which they can begin to build a fan bases, and those who proactively embrace this opportunity – both online and off – have seen astounding growth. Take contestant Kacy Catanzaro as an example. She became the first woman to complete a qualifying course and make it up the signature ANW obstacle, the 14-foot Warped Wall., Standing at only 5 feet tall, Catanzaro became an overnight sensation. Seeing how her run was inspiring other women to apply, as well as young girls to be strong and fit, Catanzaro started to actively engage with viewers over social media and in person through tours of Ninja gyms. Now, her record-setting run has been viewed more than 16 million times on YouTube, with fans officially dubbing Catanzaro #MightyKacy. After nine seasons, Catanzaro will retire this year to pursue an opportunity that came out of her exposure on ANW: a contract with WWE. As contestants become full-fledged Ninjas, they must also focus on building their brand muscle as part of their daily training regimen. With only 100 spots available, and a rule-of-thumb casting rule of 30% returners and 70% newcomers, performing well on ANW means both conquering the course and capturing the hearts of the fans. A select group of Ninjas with compelling stories and burgeoning fan bases have been afforded the opportunity to be ambassadors for the show, which also means they have the opportunity to be ambassadors for their personal brand. Veterans like Kevin Bull have not only started their own Ninja-related businesses, but have taken the opportunity to highlight organizations and causes that they support, such as Kevin’s work on the Children’s Alopecia Project, which has been featured on the show. In addition to their social channels, most Ninjas have also created their own personal websites to help further connect with fans. While social media proves to be an effective way to get out single messages, a website serves as a destination for fans, providing a stronger way to engage them in your broader story. ANW has wide appeal because it’s designed for family watching. It is feel-good entertainment that showcases positive values such as hard work, sportsmanship, tenacity, and the power of resilience. American Ninja Warrior showcases remarkable displays of human capacity, but its staying power comes from the humans themselves. Everyday people who seek to test their limits and continuously draw the viewer in, with their passions and stories.